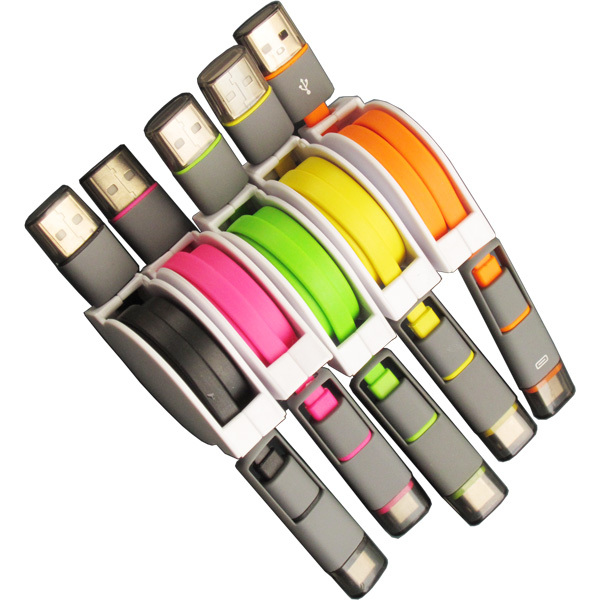 The is no need to deal with tangled cables or carry several for connecting your Apple or Android mobile device. 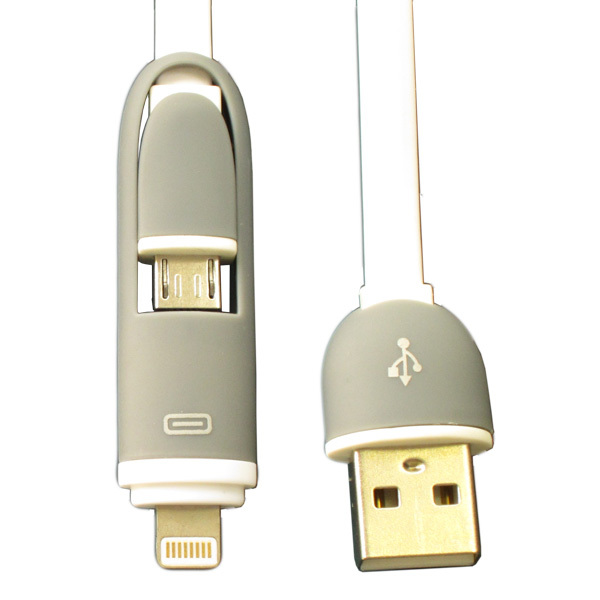 The syncing and charging your iPhone, iPad or Android mobile phone can be done all in one cable. 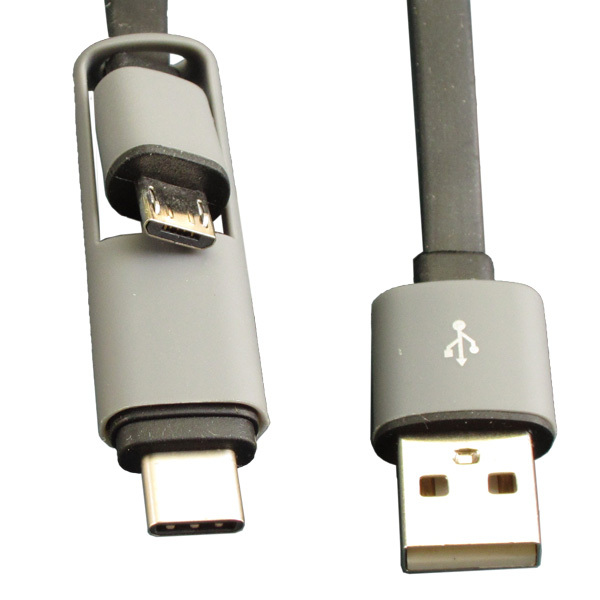 This is the most versatile cable for a mobile device – containing all the required connectors in a single compact cable. 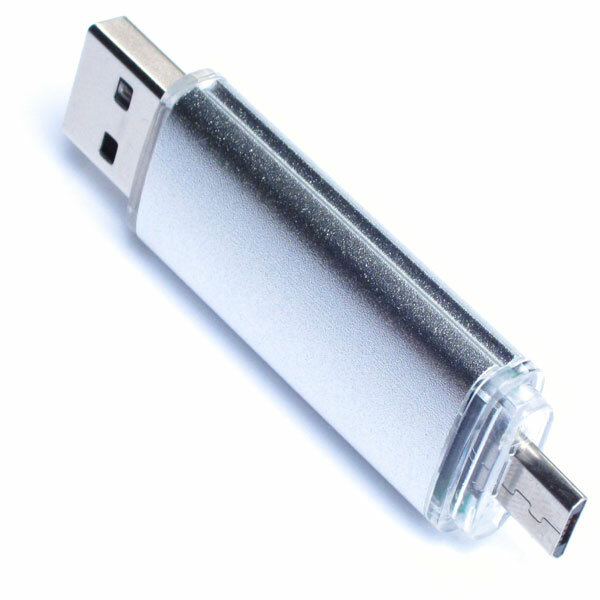 Just recently we introduced a new model to our lineup – Mobile 360 OTG USB flash drive with a cap-less standard USB plug and capped micro USB plug on the other end. 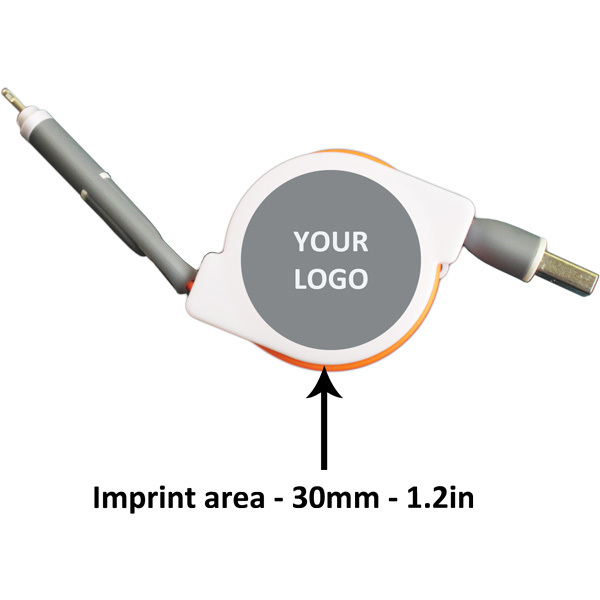 It’s great for silk-screen printing and occasional subtle laser engraving for your branding needs. We’re launching a new model – Mobile OTG CS. 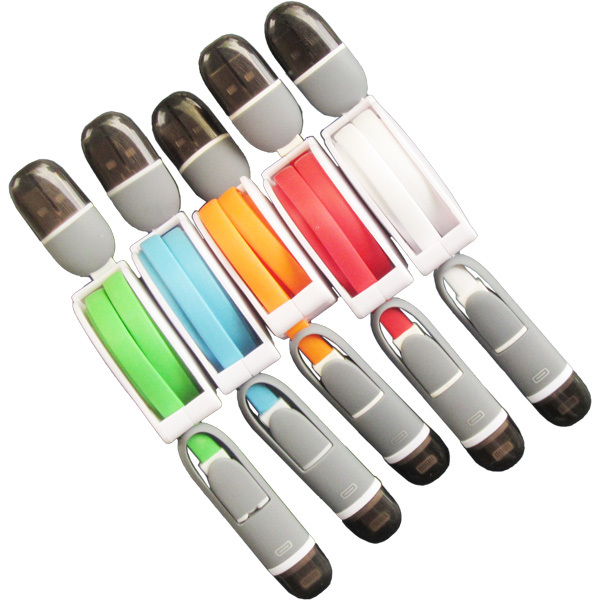 It has caps on both USB plugs and a color metal jacket for effective laser engraved branding. The photo of the Mobile OTG CS drive without the protective caps is below. 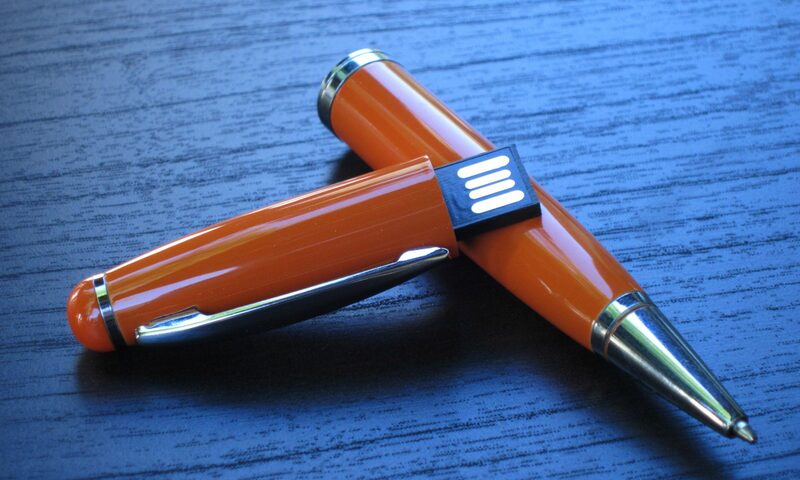 As a reminder, OTG stands for the On-the-Go specification that supports the connectivity of the USB flash drive to a mobile device such as mobile phones or tablets. Since the mobile device is typically made to act as a storage device when plugged into the USB port; the support for On-the-Go specification enables the mobile phone to act as a host and read the contents of the OTG USB flash drive. Result is being able to expand the capacity of your phone, easily coping data from the flash drive storage on to the mobile device or vice-versa, and easily sharing your branded flash drive with your clients. Keep in mind that Apple mobile devices do not support the On-the-Go specification and thus will not work with any OTG USB flash drive even with an adapter. However, most modern Android phones do support the OTG specification and may be used with this easy to use device.